Why You Should Use Premium Wordpress Theme ? 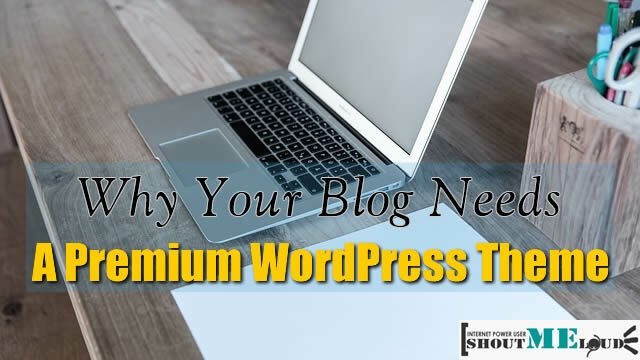 Why Your Blog Needs A Premium WordPress Theme ? So last time we talked about Free WordPress Theme VS premium WordPress theme and we have come under the conclusion that Free WordPress theme are good when you don’t have any money to spend else premium WordPress theme is a must for any blog. 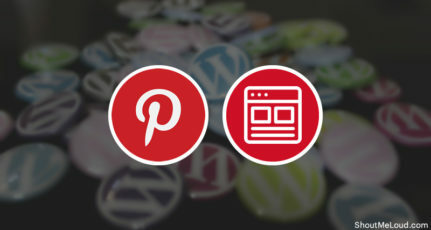 I share some of the points for those who are still thinking about free and paid WordPress theme. Our commentator will add more value to this discussion. This is the first thing that I used to look at any theme. When I started with WordPress, I was very much scared of coding and making changes. Theme support was something which I always missed, and I had to look for other opinion and answers. Though good thing is I had to Google and learn most of the thing, but in that process, I made a few blunders and I don’t want you to make the same. Every theme is uniquely designed and codes for them are the same and different depending on the theme. With premium themes, you get all the support and since its forum, you will see more reply for a single query. Bonus: Most of the questions were already been addressed by someone, so simply use the search function of forum and you have the answer. I know there are various free WordPress theme with elegant look and design, but premium WordPress theme has more flavor to it. Most of the premium theme gives you the option to select the skin and colors and you can select the design you need. Theme option panel is must now these days as you can make major changes without playing codes. I’m not someone who is comfortable with coding, and I prefer drag & drop kind of stuff. If you are also a non-tech user like me, I would suggest picking a theme, which doesn’t require further coding. WordPress is popular with unscheduled updates which we have seen in the recent past. The major problem with this unscheduled update is broken theme and plugins. This is one reason I wait for at least 2-3 weeks before making any update until unless it’s not a critical update. 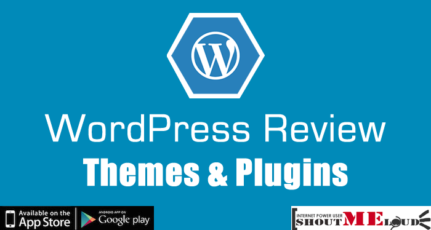 Premium themes have no choice other than updating their theme to match with latest WordPress version. 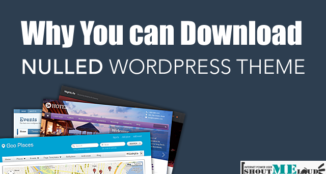 This is something must you should look before selecting and WordPress theme. Either be a premium or free theme. When we talk about blogging, its the content which is king and SEO is queen. A theme framework and structure plays a major role in terms of SEO. The premium theme which I use here at ShoutMeLoud is Genesis theme, and I can boast about its SEO advantage. Other Premium themes which I have heard are good with SEO is Elegent themes. That is something which you should consider before getting any WordPress theme. Since most of the free WordPress theme has encrypted footer and lots of good and bad links are associated with it. But in the premium WordPress theme, it’s different, codes are clean, and you can’t expect anything hidden in it. This will give you enough trust while using the theme. Encrypted WordPress theme footer mostly contain paid links, which is a big no in terms of SEO, and you should avoid it at any cost. If you are using any free theme, and its footer is encrypted, you should consider removing that theme and switch to some simple theme with clean code. Do let me know your reasons too, why do you prefer Premium theme over free themes? Theme developers are creating theme options pages which make it easier for newbies and pro’s to control and make changes on the fly. I have noticed you mentioned about encrypted links in footer. I think even premium themes could have it. It’s not to say that if you pay for a theme, that there are no encrypted links. Yes, users who buy probably check anyway. Premium Themes are good when you are in growing stage but If you are newbie then free themes are not bad.But if you want to blogging for business then I’ll go with Harsh’s recommendation. 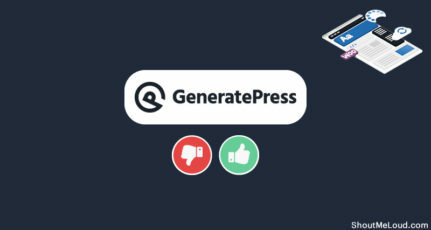 Well if you are going for free platform then I think blogger is best as blogger allows to customise the template, place adsense ads and affiliates and allow 125/125 ads to be displayed. I agree Theme support is the most important for any one. Free theme their is no support. 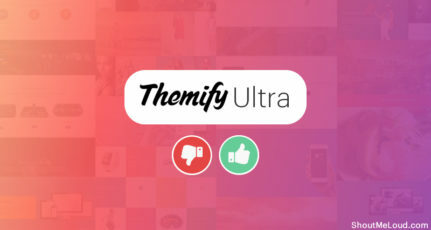 I saw thousands of comments in theme setting problem in Arthemia free theme. I think buying premium themes makes you different from other peoples. I love to premium theme. But before buying it, I use nulled version and check all feature. If i think that it worth to buy it then i do. I started new blog but i used thesis theme even it is new. I love it. But if i didn’t have enough money then i had definitely used free theme which i do for blogger and some time i also make my own type of theme too. I will consider Premium theme when I see rapid growth (in term of money and traffic) on my blog. Currently, I am happy with the free magazine theme I used and I have the encrypted links removed from my footer some time ago. hey……….! Harsh thnx for nice information, One question to you -Some of the more popular free themes are used by thousands of blogs. can it’s also affect our sep performance…. 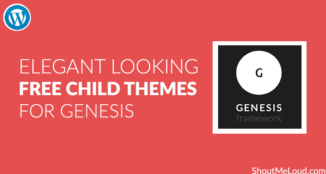 Get a theme that runs off the Genesis Framework. The child themes can be easily customized and it’s on a rock solid framework. I have been using them for many years and love every theme I have used or tweaked. I would suggest to go with premium themes because they are often designed by professionals, either on their own or as part of an online business, and should not suffer from poor coding or lack of compatibility. I am also planning to buy “Genesis Framework”. But what about it’s interface? is it user friendly? i mean i am not much into coding and i prefer drag and drop stuff but i also want a sober layout for my site. And how can i insert these kind of partitions for the subheadings? (The Blue ones which you have selected for your blog). Very true I agree with you. premium themes give many advantages to bloggers and also make difference in behaviour and looks. I am using Bloggo for my personal blog that developed by jthemes Studio. Features are amazing.